The SC 2000 is an In-Store Audio Player that may be connected to the overhead PA system in a retail store to provide background music and advertisements. The SC 2000 has a built-in Ethernet Port which enables remote scheduling and changing of music and in-store advertisements directly from a studio via a broadband internet connection. The SC 2000 requires an Ethernet internet connection to download music and message audio files from a designated FTP server. The SC 2000 supports play back of Music and Advertisements (audio messages) in MP3 format that are stored in the supplied SD card. Normally, the music files are played back continuously in a loop and the output in stereo is fed through the overhead PA system to be heard all over the retail store. 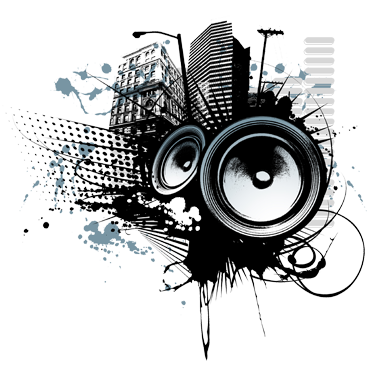 The music playback is interrupted when a Message or an Advertisement is to be played at a specific time or after a pre-set interval. The message or the advertisement is in mono and is fed to both the Left and Right channel inputs of the PA system. Easily connects to any overhead PA system or amplifier driving the instore music. Ethernet cable can be directly connected for internet FTP sync of music and message updates. To update the music and message files stored in the SC 2000, the unit must be installed in the retail store's Local Area Network (LAN) with Broadband Internet connectivity. Further, the unit must be programmed to allow access on Port 21 to remote FTP server through the retail store's Broadband Internet connection. Installing the SC 2000 on to the LAN is easy; just connect the unit to the LAN via the built-in Ethernet Port and power up the unit. The SC 2000 will automatically assign itself an available IP address and detect the Gateway IP address using DHCP. A Quick Install Software is provided to configure the unit when it is required to be installed on a static (fixed) IP address and / or to program and check the unit's connection with the FTP Server. The unit's built-in diagnostics helps to check whether the unit is able to communicate correctly with the remote FTP server. 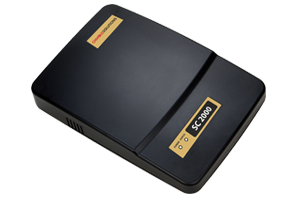 The SC 2000 has the capability to self update the music and message files stored in the unit's SD Card via a broadband internet connection using FTP (File Transfer Protocol). The SC 2000 connects to any user specified FTP server to periodically download fresh music and advertisements. This effectively eliminates the need to dedicate a server for content management. The Content Management Software (CMS) enables the management of hundreds of units installed in different locations, from any PC remotely, via a FTP server. Using the CMS, you may upload new music and message files create and manage Music and Message Playlists on the specified FTP server. The remote SC 2000 units periodically checks the FTP Server (once every 30 minutes) for fresh audio content and download the files when available. The CMS may also be used to specify the number of times each message should play in an hour/day, assign a specific time at which the message should play (for example store opening and closing messages), play a song more frequently (for example new or popular songs) etc. The entire operation is secure since each SC 2000 has a unique serial number associated with it and the unit's authentication is done to each download.